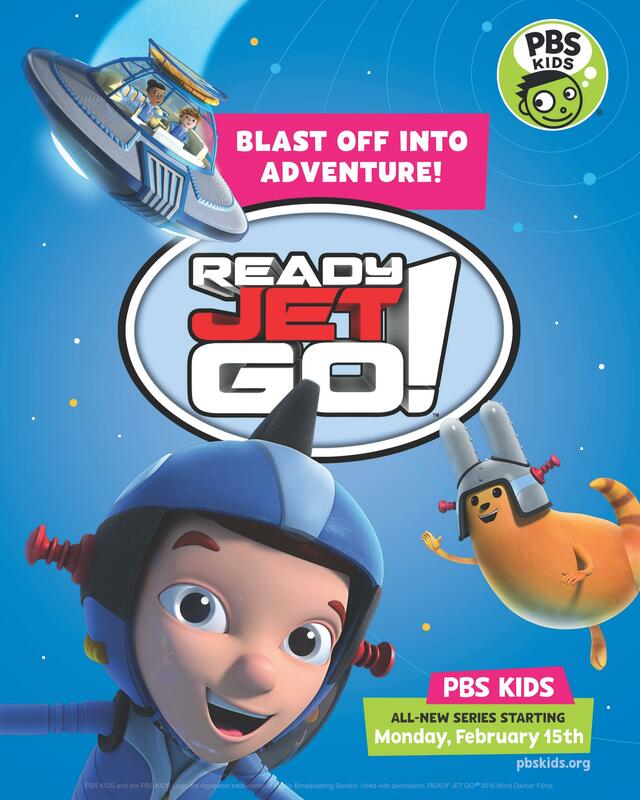 READY JET GO!, PBS KIDS’ new series for kids ages 3-8, is coming February 2016. Just as NASA watches the weather to see if their launches are a go, so do we. With the forecast of snow, WVPB and the Clay Center have delayed the Launch of the Ready Jet Go! EXPO, scheduled this Saturday until February 6. We will see you then! Join us on February 6 from 11a.m. to 4p.m. as we provide an opportunity for a sneak peek of Ready, Jet, Go at a premiere in the Digital Dome! Show will screen at 11:15 and noon. Then, spend a day visiting with the characters from the popular PBS show, Super Why, as well as building and launching rockets, folding airplanes and discovering oodles of physics and space-related experiments. Video and lobby activities are free to public, additional activities will require gallery admission.